Astitva - Search for an Identity: Breakthrough in Nuclear Fusion: Stellarator - An answer? 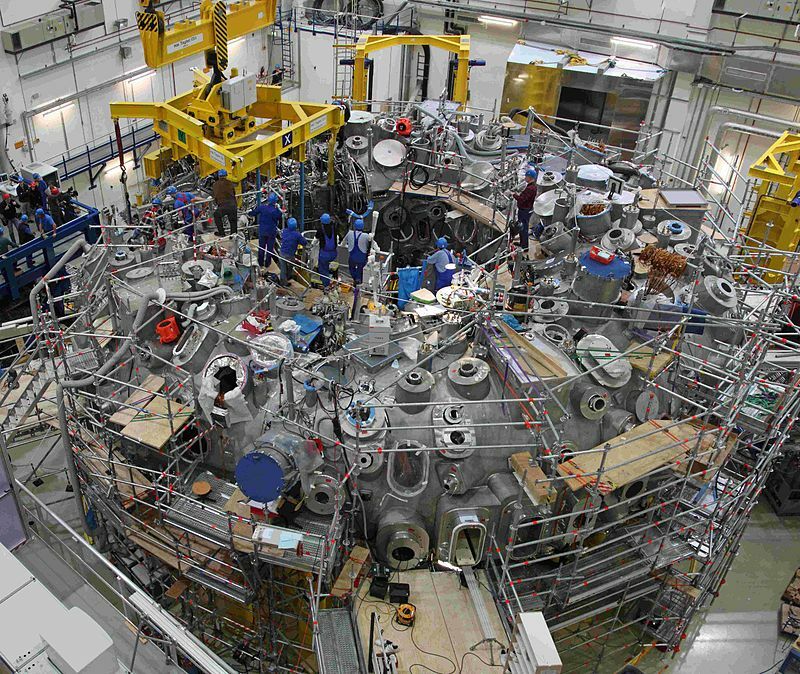 Breakthrough in Nuclear Fusion: Stellarator - An answer? Fukushima accident was a critical incident in the history of nuclear power. World shocked to see the plight and helplessness of Japanese authorities in this sea side city. Germany turned their back towards nuclear power and started working on other renewable energy sources after the accident. Well, nuclear power is not going to go down without a fight. During recent turn of events ‘Max Planck Institute’s’ ‘Wendelstein 7-X’ was able to produce Helium Plasma lasted just a tenth of a second and heated up to 1 million degree celsius. Unlike other experimental fusion machines this one doesn’t follow tokamak design. This project - which began 9 years ago - already costed one billion euros. But major breakthroughs are results of extreme hard work and cost. If this results in the creation of stable fusion devices - which of course will take many more years to materialize - will be an answer to world's growing hunger for energy. Energy produced through fusion process is believed to clean. This process tries to duplicate what really happens in Sun. The plan is to heat hydrogen nuclei (it’s heavier isotope called deuterium) to about 100 million celsius required for fusion to take place like in Sun's interior. The stellarator's plasma was created on Thursday by using a microwave laser (Wendelstein 7-X), a complex combination of magnets and just 10mg of helium. Hope that scientists will soon be able to come up with stable fusion devices.